Shabnam is a yoga instructor, now a fitness model and an inspiration to many. (The article has been written and edited by me and approved by Shabnam). Being a single mother, life keeps throwing its own challenges at me. I started practicing yoga to stay calm, deal with life and to ensure that I bring up my daughter well. Soon yoga became a way of life, it made me more patient, kinder, healthier and happier as I shed those layers of self-doubt and gained strength both physically and mentally. As I became better at it, I decided to share this gift and started teaching yoga. At the same time, I loved working out at the gym and running. I did my Airtel Half Marathon in 2013 in 1:54 mins. However, it wasn’t enough, I was itching for more. Being a single mother had made me very strong headed and I knew I could take on anything. I happened to see a poster for Body Power Expo 2014 which is also one of the biggest fitness conventions in India and I knew I could be a fitness model. I dedicated 8 months to transform my body (I was fit but not competition fit) completely. It meant 3 and half hours of daily workout, not wavering even once from the fixed diet and sleeping on time for fixed number of hours. Nothing could deter me from my goal. My hard work paid off even though I couldn’t make it to the top 3 at the competition. Success also comes with its own downside. I have heard people comment that I’m too muscular for a woman, however, that doesn’t bother me. I have been able to inspire lot of people to take up fitness as a way of life. I have been able to prove what one can achieve with perseverance and discipline. I simply love my body and I love being referred to as “Lady with the abs”. Superb Maam highly appreciate ur dedication n efforts . Proud of you. 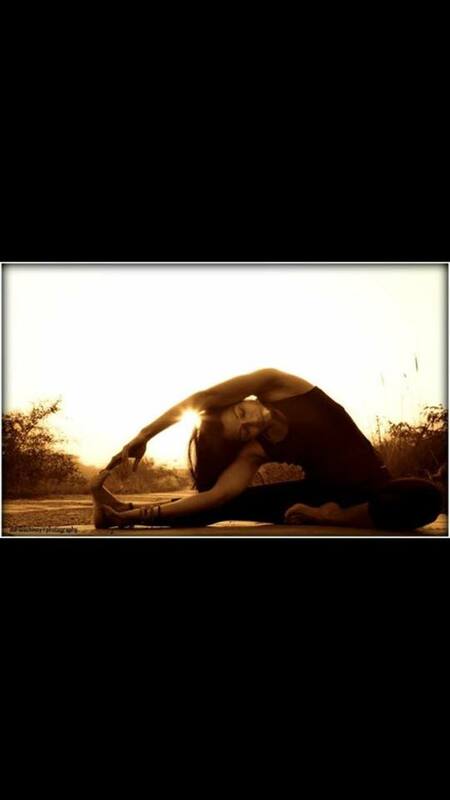 You are an inspiration and a proof of how yoga builds your self confidence and find life beyond yourself. Amazing dedication. Congratulations ma’am. You are a role model for our young women. Keep it up. (Abs)olutely amazing dedication and hard work showing in those muscles! Thank you for this creatively written piece on someone who deserves a lot of respect for all she has done. And no… She isn’t “too muscular”! Awesome…u r an inspiration to us…Do u take classes..I would love to join ur class…I stay at Andheri lokhandwala…So how can I join ur coaching? how can one join your coaching? Commendable, Definitely lots of effort needed to achieve it. Its awe inspiring to see your pics and article. Hats -off !!! Specially being a single mother its commendable. Your daughter must be proud of u. What an inspiring story .Sometimes what we think is impossible looks possible when read these success stories and makes us give up all the excuses we give ourselves. This is what I exactly needed to read and get motivated. Firstly I must congratulate you for the make over you got for yourself…despite of the fact that you are a single mother. What is your website. …how can we write to you. first of all thanks for sharing. As I am an obese girl and quite lazy. But your story really inspired me a lot. Planning to be fit.